Диснеевские принцессы. 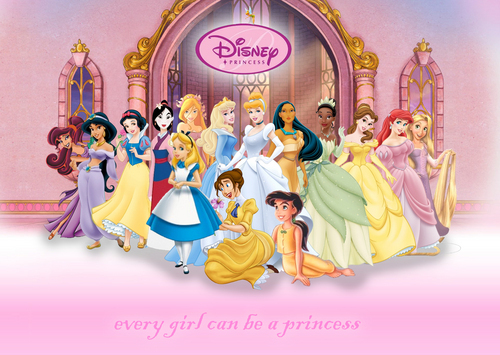 Megara, Jasmine, Snow White, Mulan, Giselle, Aurora, Cinderella, Pocahontas, Tiana, Belle, Ariel, Rapunzel, Alice, Jane, Melody and Динь-Динь. HD Wallpaper and background images in the Диснеевские принцессы club tagged: megara jasmine snow white mulan giselle aurora cinderella pocahontas. I'm so glad to see you getting the nice comments from other fanpop members that you totally deserve. yes very pretty. But i they forgot the princess from Atlantis.Her name is Kida. What about Anastasia and Odette (The Swan Princess)? @elle0911 Anastasia is NOT Disney. She's 21st Century Fox. And Odette was made by a guy who used to work for Disney, but she's not Disney herself. I would like to live in that princess hall.